Free Shipping, Buy New iCarer iPad 9.7 inch 2017 Vintage Side Open Genuine Leather Case online shopping at Casemecase.com. The simplicity of the design gives it that dignified and conservative persona which never goes out of style. 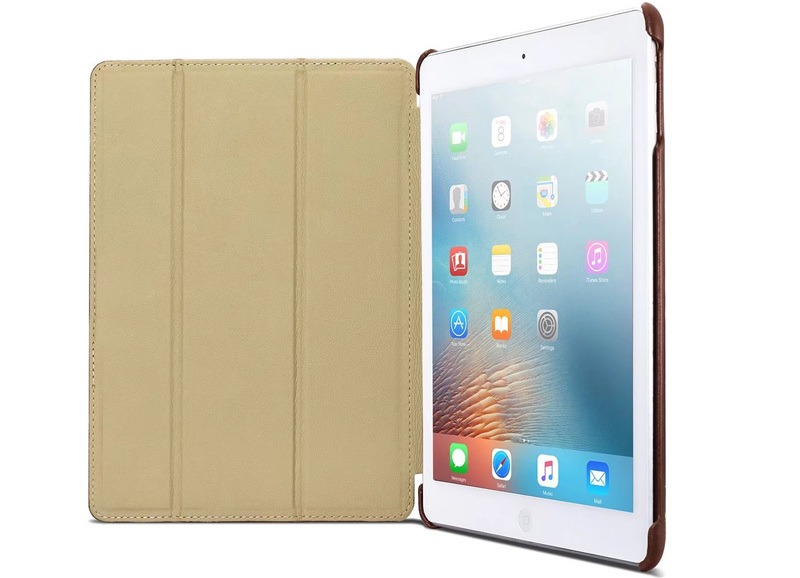 New iCarer 2017 iPad 9.7 inch Vintage Side Open Genuine Leather Case. Includes Sleep/Wake Function and Sturdy Triangular Stand that can be set in either a Great Viewing or Comfortable Typing Position. 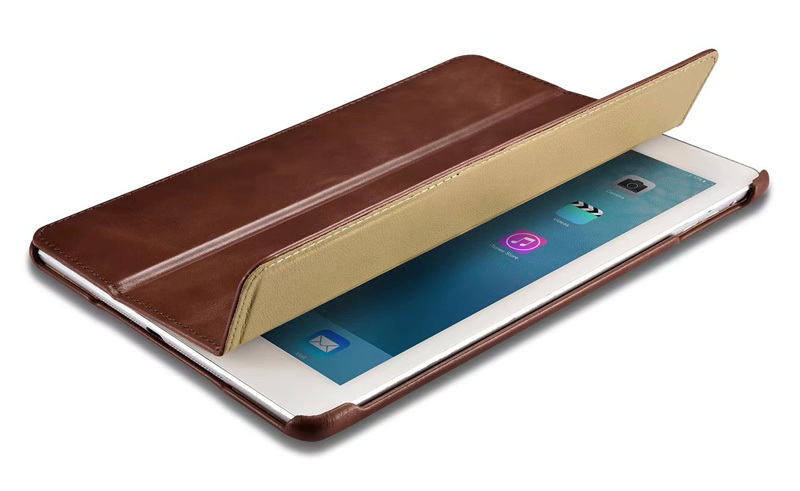 You will love the new look and feel of your iPad and will have the peace of mind that it is well protected for the everyday use. UNIQUE DESIGN allows easy access to all buttons, controls and ports without having to remove the skin. 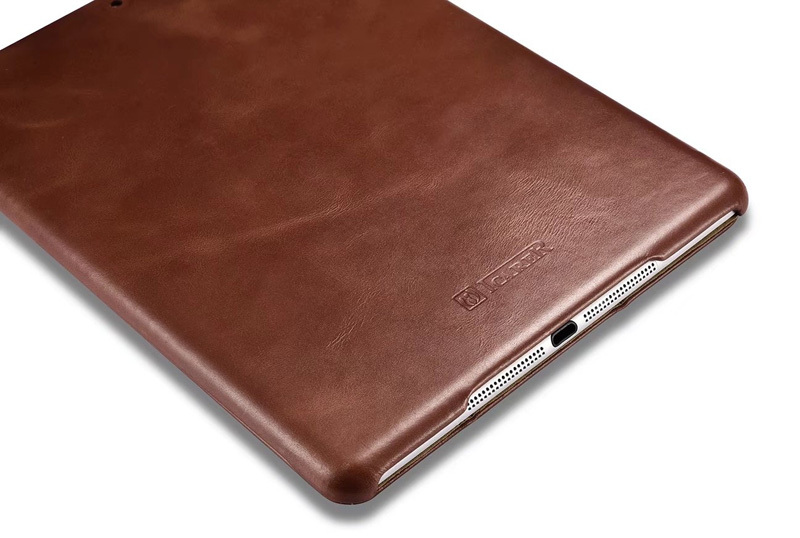 Sleek and lightweight designed with precision to fit your iPad perfectly. Buttons are specially designed for a more natural responsive feel. Camera lens cutout protects your camera from scratches while keeping your flash fully functional. – Designed for Apple New iPad 9.7 inch 2017 Model . NOT compatible with iPad Pro 9.7 (2016 Model) or any other iPad Tablets. – Purely handmade of vintage genuine top layer cowhide Leather, the hand feeling is more top-grade. Designed with a good texture of outer layer & sleek micro fiber leather lining which is anti-dirt and waterproof. Gently contact the surface of your device and fits your iPad like a glove. 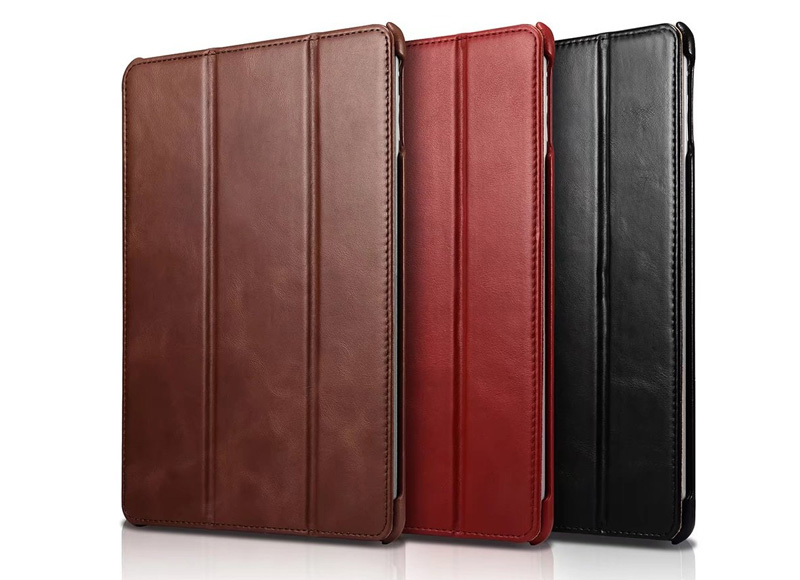 – The folio flip style opening with a Magnetic closure provides a full degree protection for your iPad. 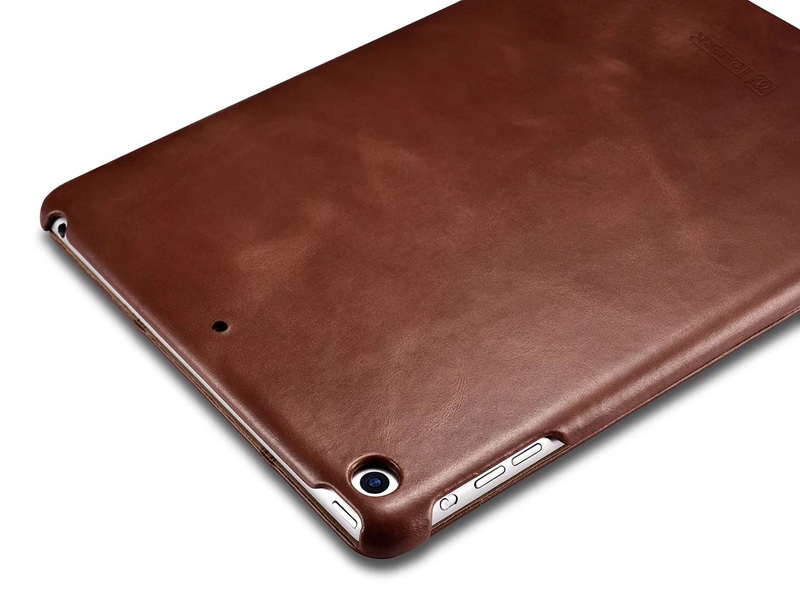 It can cover all the corners to keep your iPad away from abrasion and scratch. 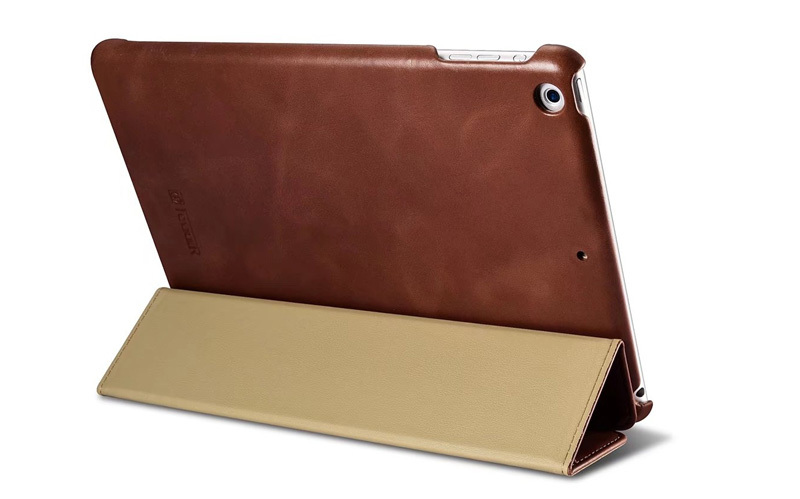 – The case also has the fold-back lip which allows the iPad to be laid on a slight incline, or stood upright for watching videos etc. 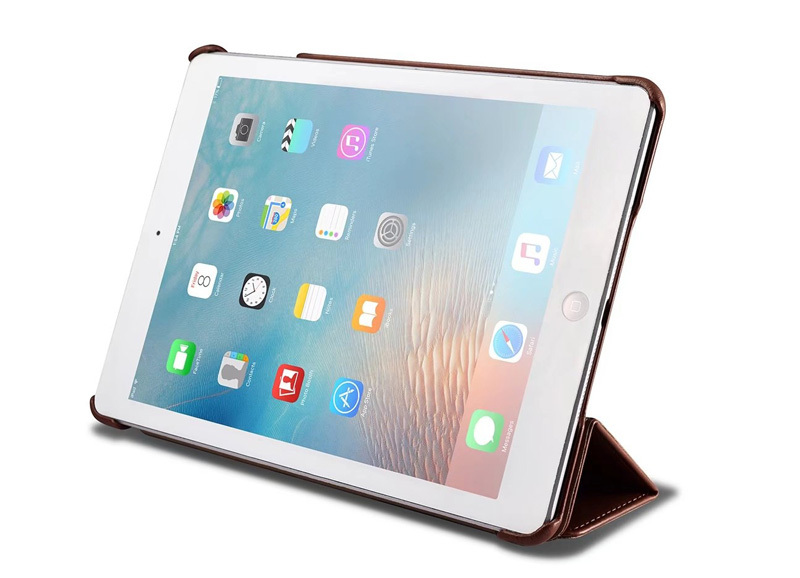 It can be folded into 2 different stand view angles to prop device horizontally for a comfortable viewing angle to watch the video, read an e-book or browse the web, etc. 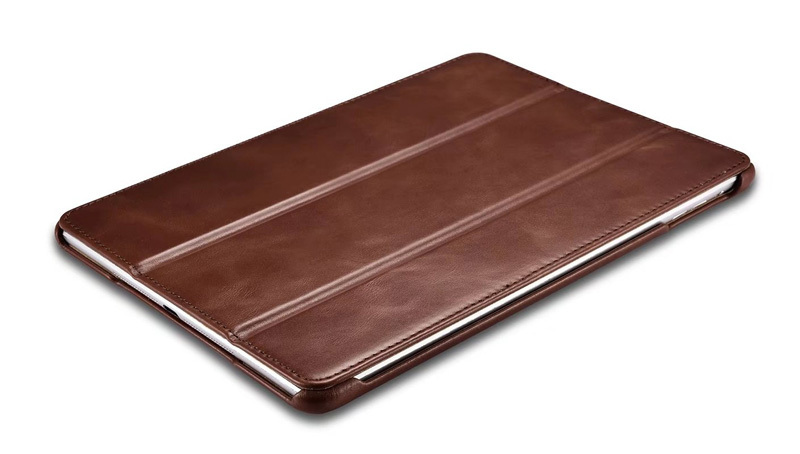 – Additionally, the cover has magnets hidden in the edges which allow your iPad to sleep & wake when opened and closed. Exquisite cutouts offer an easier access to all ports, all buttons, sensors, speakers & camera on your iPad. 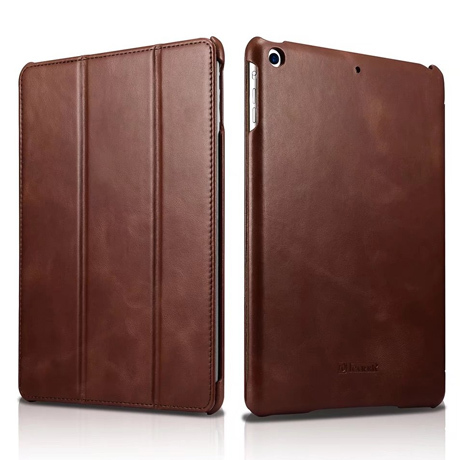 Perfect Slim Fit Form with Premium Corrected Grain Genuine Leather, Excellent Protection with Flip Shut Folio Style. Snap-on Shell, Easy Operation, Open Cut-Outs to the Buttons , Ports, Sensors, Speakers & Camera. 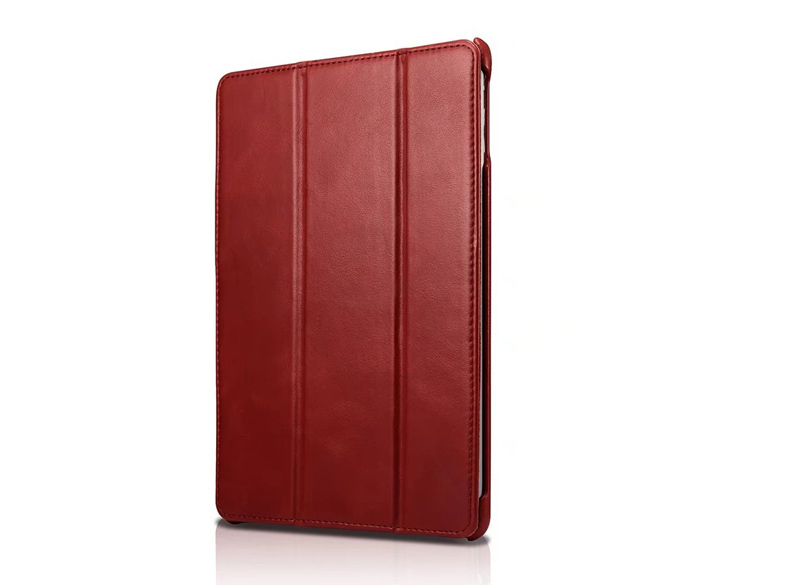 Retro Style Leather: The premium genuine leather case for New 2017 iPad 9.7 inch has a vintage luxurious finish, smooth texture and the scent of authentic leather. Ultra Slim: Thin profile without adding any bulk feeling in hand, quick access to all ports and buttons, no hassle with charging of iPhone 7 or earphone jacks. Less is more, simple is best. Precise open cut-outs for all Ports, Buttons, Speakers & Camera, Charging port, leaves enough room for full coverage screen protector and flash. Precise cut and design, easy access to all Buttons, Ports, Speakers & Camera. Low profile design, without adding any bulk to your device. Time goes by, you would ignore the weight of this case and enjoy its professional look. Fits the new 2017 iPad 9.7 great. 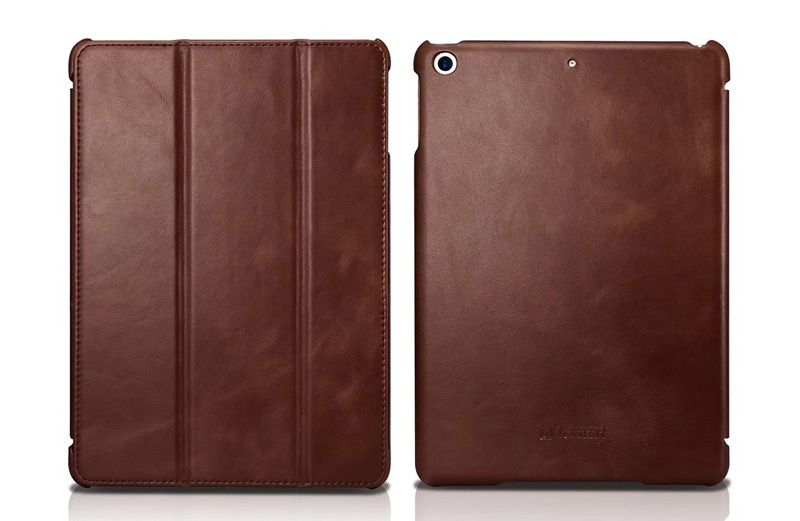 It’s slim and protects my iPad perfectly, and fits amazingly well! Excellent! 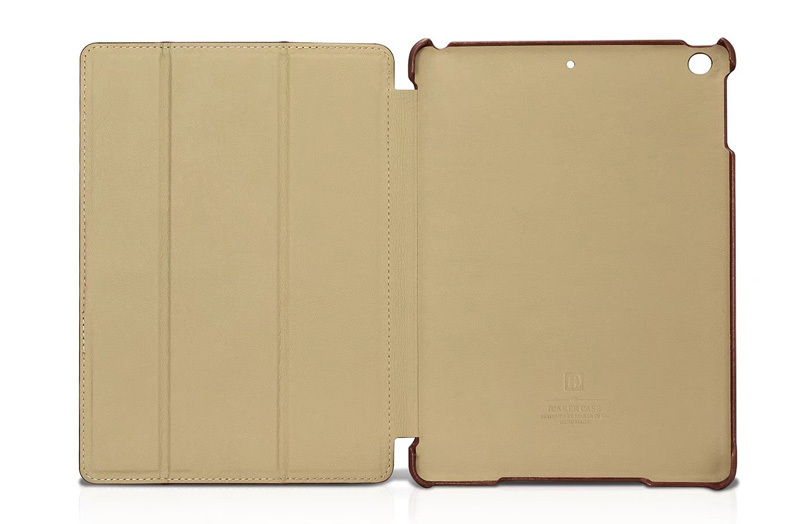 But rather slippery to grip…love the color and it gives my ipad ample protection from daily use.